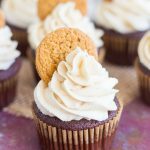 Brown Butter Frosting is magical! 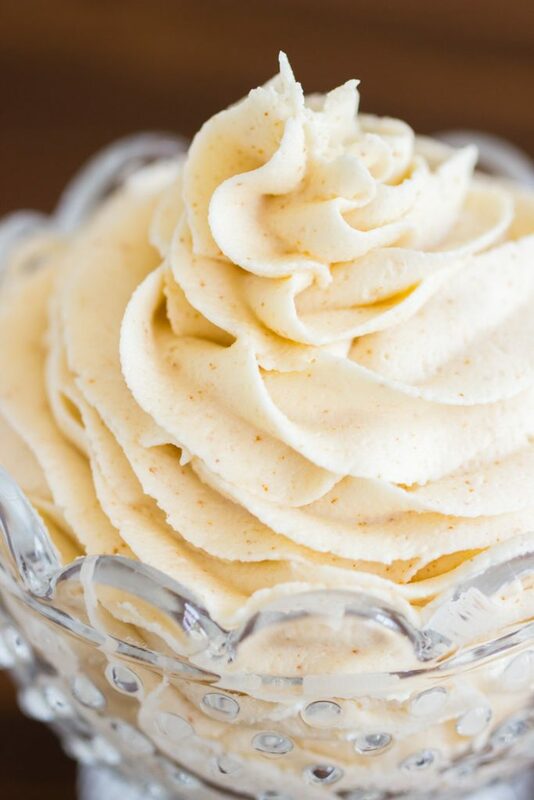 A simple buttercream recipe gets a major upgrade. Made with nutty, caramel-like, fragrant, toasty, rich brown butter. 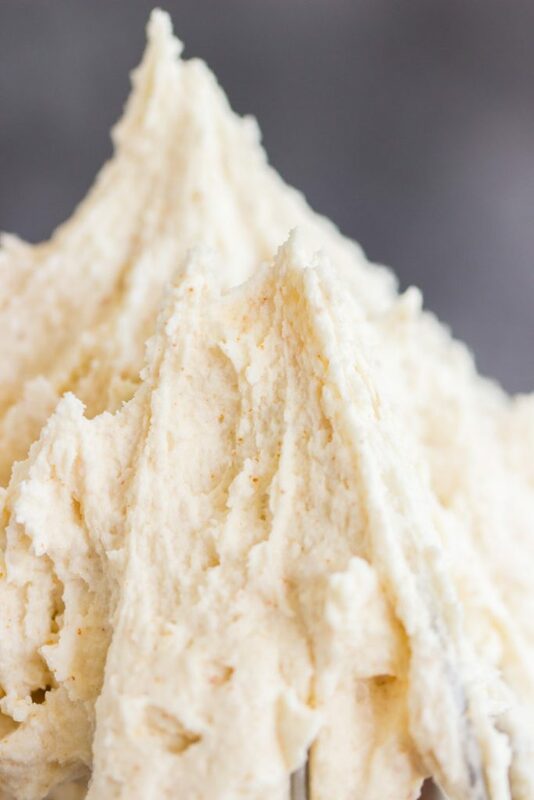 This Brown Butter Frosting is literally a perfect substance. Rich, creamy, fluffy, and beaming with brown butter. We’re eating all our problems this morning. Bring on all the butter and sugar. 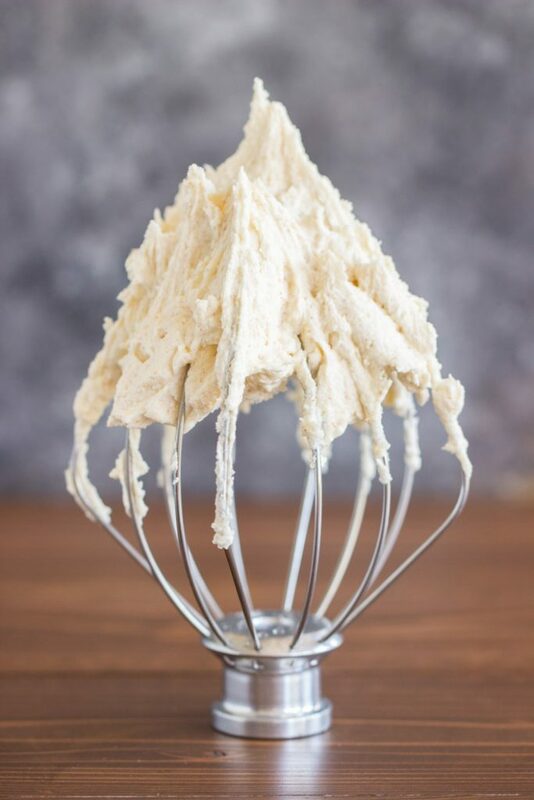 Hand me a spoon, and I’ll just dive right into this Brown Butter Frosting, nothing else necessary. I don’t want it on anything, I’ll eat it all by its lonesome. 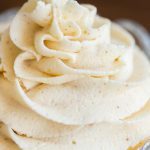 This Brown Butter Frosting recipe is making my day. We spent the better part of Labor Day week staring down Hurricane Irma. No offense to any Irmas out there, but she was an absolute biotch. Our stomachs were in knots as we watched each updated track, and we lost so much sleep. We worked on getting our house ready, and packing our things in case we needed to leave – whether by car or plane. As we watched the track continue towards the Tampa Bay Area, and Irma was unrelenting in strength and size, we decided that we were not sticking around to experience her destruction. Also, we were under mandatory evacuation anyway because of our flood zone – eek. In nine years, I’ve never seen Floridians as freaked out as they were for Irma. I have never seen such fear and panic here. The mad dash to fill up gas tanks, buy water, and stop at the ATM. It was insanity. We became part of it too. We’d merely drive to work and back, and we’d stop to fill up the 1/16th tank of gas that we’d used. My S.O. would go out for it late around 10pm hoping to avoid lines. When water sold out, we bought Gatorade. Buying plywood at Home Depot, and figuring out how to get those big boards home and up on our windows. Filling up plastic containers of water. It was kinda mayhem. We looked for flights to pretty much anywhere, and snagged tickets at 11am last Friday to Baltimore for 7pm that same night. We stashed the cat in her carrier, and left. We stayed with friends in the D.C. area, and then drove up to our families in Buffalo and Erie. It was helpful for distraction, but it wasn’t like a relaxing vacation. All we thought about was friends and family that stayed behind, and we worried for their safety, and we were concerned about damage to our home and belongings. I also worried about all the travel with my 18 year-old cat – it was so much upheaval and confusion for an elderly feline. She’s still a bit miffed about it. I cannot remember the last time, or ever a time, where I experienced so much stress, worry, and fear. For us, the saga ends well. Although we lost power, it came back on within a few hours of our plane landing back in Tampa. We were also lucky as far as our property. We barely had any branches down, and no roof or water damage. We’re so grateful. But lots of people lost a lot, and my heart goes out to all of them. 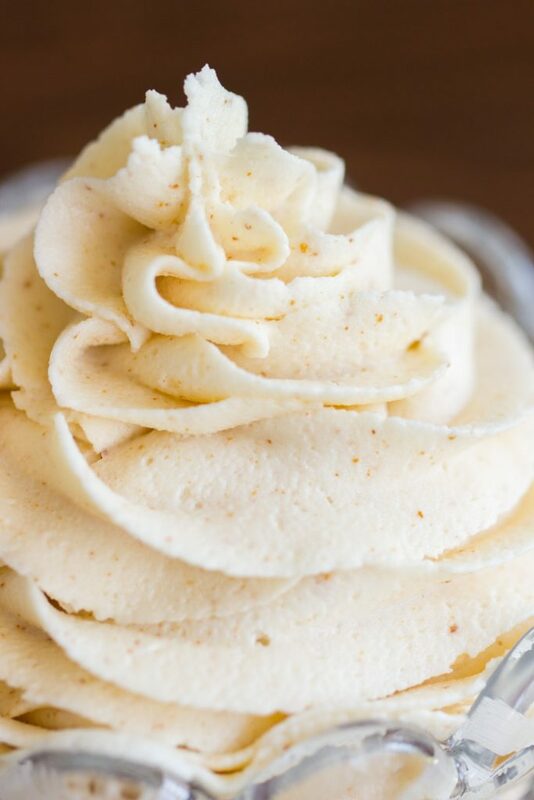 So today, we eat Brown Butter Frosting. Just the frosting. It need not adorn anything but my spoon! I’ve been in love with brown butter for a few years now, and you guys know this. 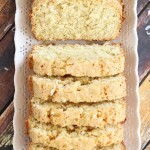 So many of my all-time favorite recipes include brown butter. Honestly, I brown butter as often as I can for recipes – it’s magical. 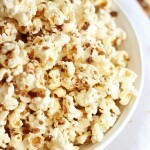 It’s nutty, caramel-like, fragrant, toasty, and rich. A perfect substance. 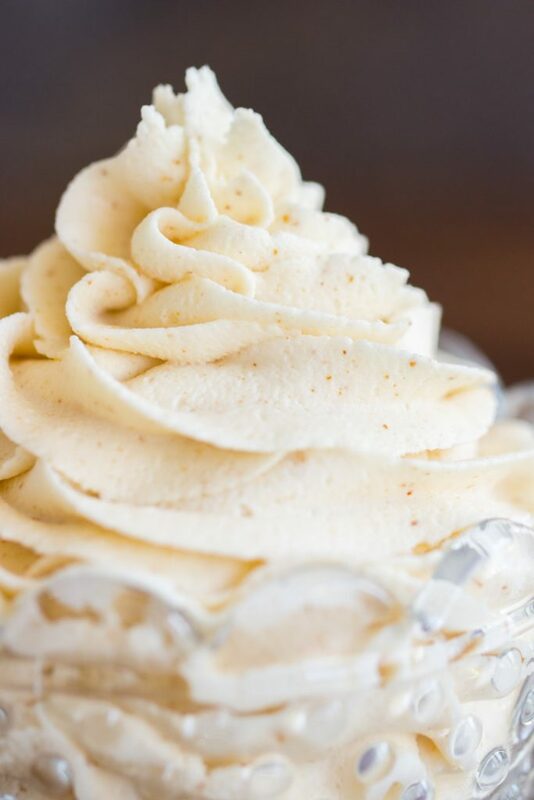 You can find it in these recipes for Gingerbread Latte Cupcakes with Brown Butter Buttercream, Brown Sugar Maple Bacon Scones, Pumpkin Cookies with Brown Butter Icing, Brown Butter Bourbon Pecan Pie, and a whole bunch more. All of those are truly incredible. 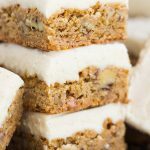 Update: Zucchini Bars with Brown Butter Frosting! I made standard buttercream frosting, but with brown butter. I browned the butter, let it solidify, and then beat it into buttercream frosting with vanilla, powdered sugar, and cream. That’s it. It’s an extra step to buttercream frosting, but it’ll be the BEST frosting (tied with Nutella Buttercream! 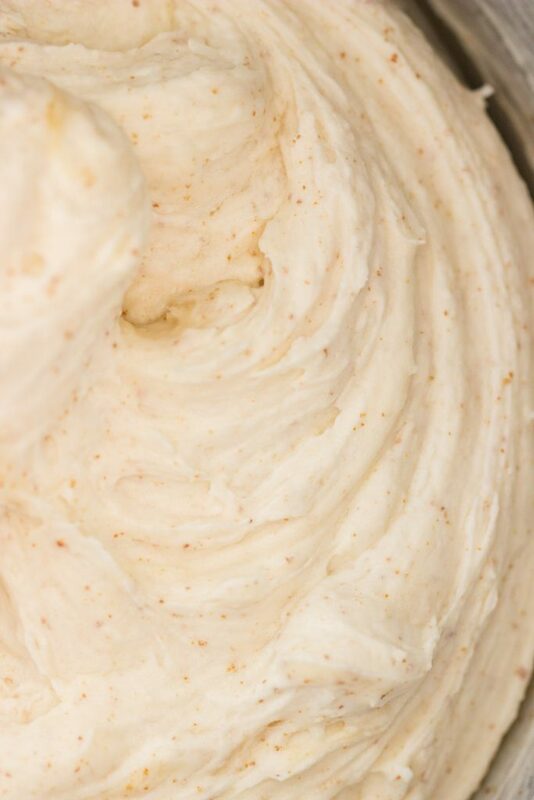 Oh, this Peanut Butter Frosting and this Cookie Butter Frosting rock too…) that you’ve ever had. 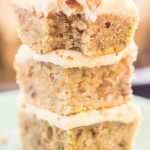 Brown Butter Frosting is magical! 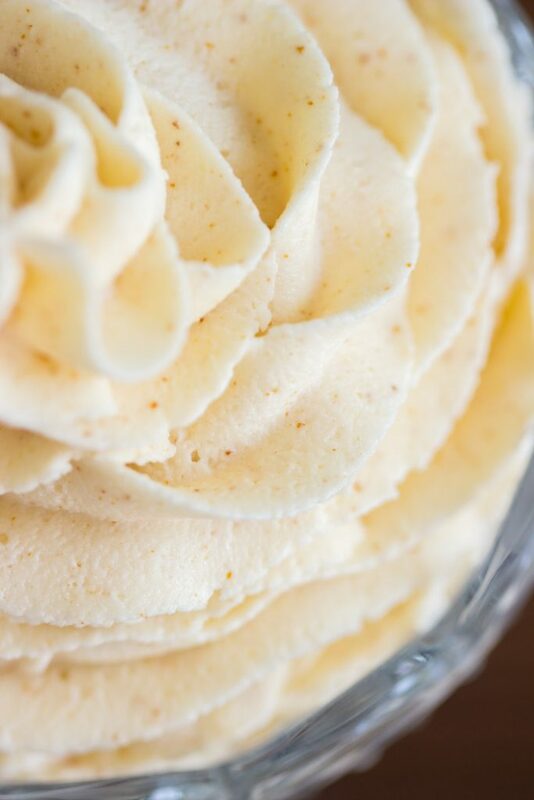 My basic buttercream recipe gets a major upgrade. Made with nutty, caramel-like, fragrant, toasty, rich brown butter. This Brown Butter Frosting is literally a perfect substance. Add 4 c. powdered sugar and 1/4 c. heavy cream, beating until light and fluffy. You can add a little more heavy cream if needed to achieve desired consistency. It should be thick and fluffy, but spreadable! Excuse my language but this sounds fan-f*cking-tastic! I can’t wait to make this! !